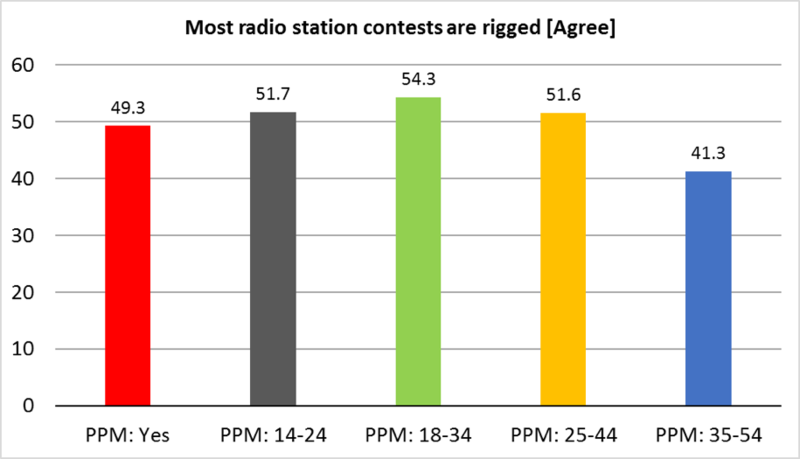 CINCINNATI, OH, September 19, 2016 – NuVoodoo Media Services, a data-driven media marketing, programming and content intelligence provider, announces that its recent NuVoodoo Ratings Prospects Study of over 3,500 subjects revealed that 49% of likely PPM participants believe most radio station contests are rigged – and over half among 18-44 year olds. 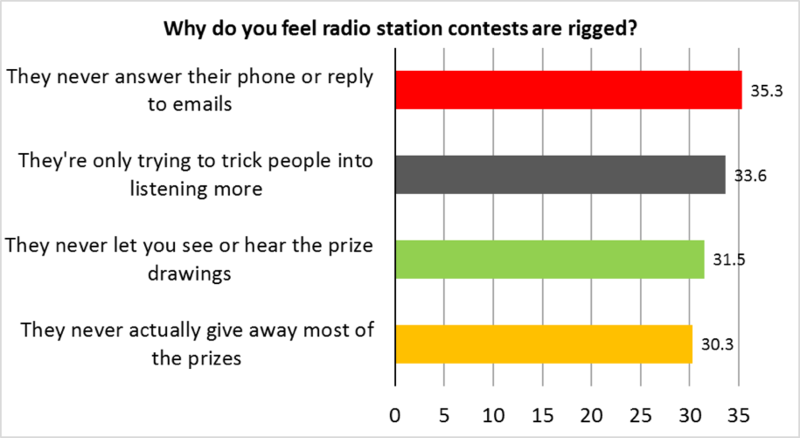 Among likely PPM participants who think that most radio station contests are rigged, some are aware that stations are trying to extract more listening, while even more complain about their inability to contact the station. A lack of transparency also comes into play, with groups complaining they don’t see or hear the prize drawings or they have suspicions most of the prizes aren’t actually given away.